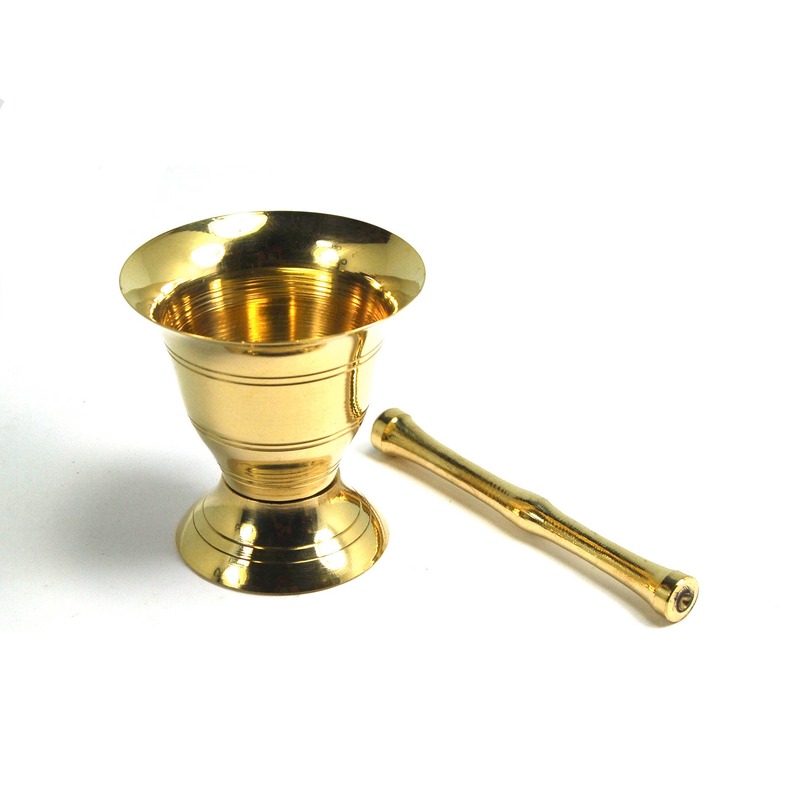 For your consideration is this solid brass mortar and pestle for blending herbs or incense. It measures 2.5 inches tall and is 2.5 inches in diameter. 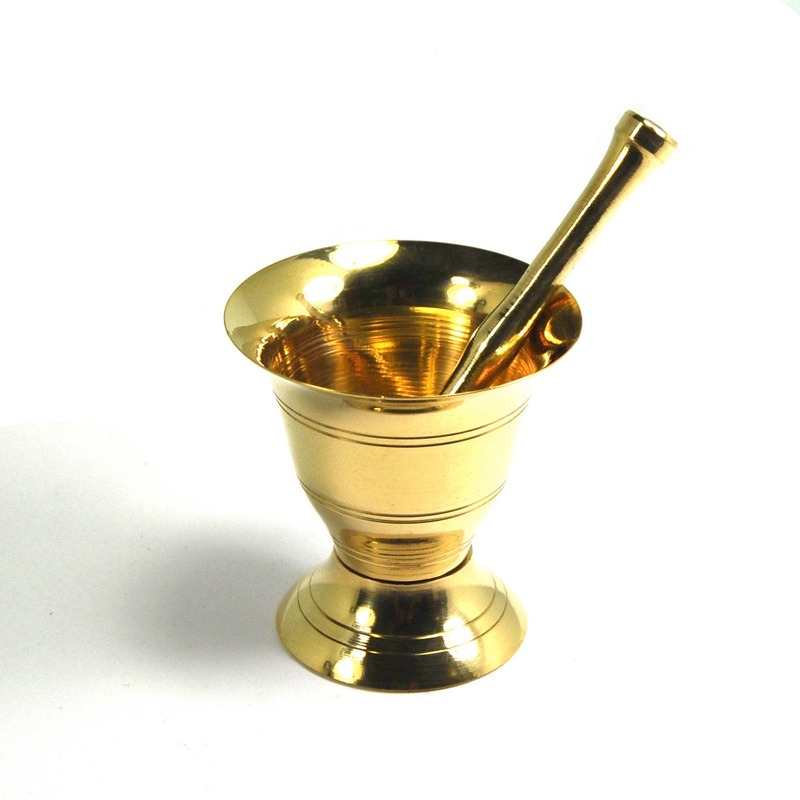 The pestle is just under 3.5 inches long.